My friend Susan posted on what her projects were for the weekend, and I thought that sounded like a fun idea, so I’m going to do the same. And of course, we need to have some family time. At a minimum, we’ll all snuggle on the couch and watch a little tv together for some rest/down time in the afternoon and due to the time change it will be easy-peasy for everyone to make it to mass together at 8:30am. We don’t normally go to the grocery store together, but I find it hard to manage Costco by myself (we have a reasonably big list this time) so we’ll likely all go together for that. 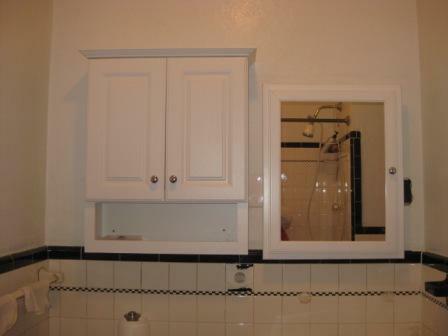 • Re-hang bathroom cabinets. What a dreadful chore – our 1928 house seems to have NO studs in the bathroom and 1 cabinet fell down while we were gone last week and we figured we may as well beef up the other one while we’re at it. – Done. Took 3 hours. • Keep living room/dining room/kitchen tidy (I currently have NO clutter in my living room/dining room/kitchen, and God as my witness it’s going to stay that way) – Done. • Place new accessories in living room/dining room, switch out baskets on top of fridge – Done. • Tidy up the “all purpose room” (guest bedroom, my office, playroom, library). Wash guest linens, organize and pack away. – Almost done. • Pack away remaining pieces of girls summer clothes. • Do 3 loads of laundry. Organize/put away all of girls clothes. • Prep lunches/dinners for the week. • Tidy up our bedroom. Unpack suitcase FROM LAST WEEK. I should be ashamed. • Pack away my summer clothes and unpack fall/winter clothes. • Go over last week’s school work with Beezus. Saturday night update: I started this post Saturday morning, but didn’t finish it until Saturday night, so I went back and updated what we finished by Saturday evening and I’ll update it again Sunday evening. but I swear there's not a stud on that entire wall ! daggone, you are far more efficient/motivated/effective than I am! What I've learned is that even when Ed and I finish everything on our to do list, we end up making a project. Perfect example, we've had on the back burner forever putting tree stumps in our yard for the kids to climb on. This weekend, when we could've been relaxing, I noticed a neighbor having a tree cut down. So we spent several hours hauling stumps, getting them in the ground, and then picking out some nice logs for the kids to play with as well. URGH! Way to go on the cabinets! I have no idea how you get it all done. I just can't seem to make it happen. Maybe because Ari is only 2.5 years old? I really feel like I am missing something in comparison.